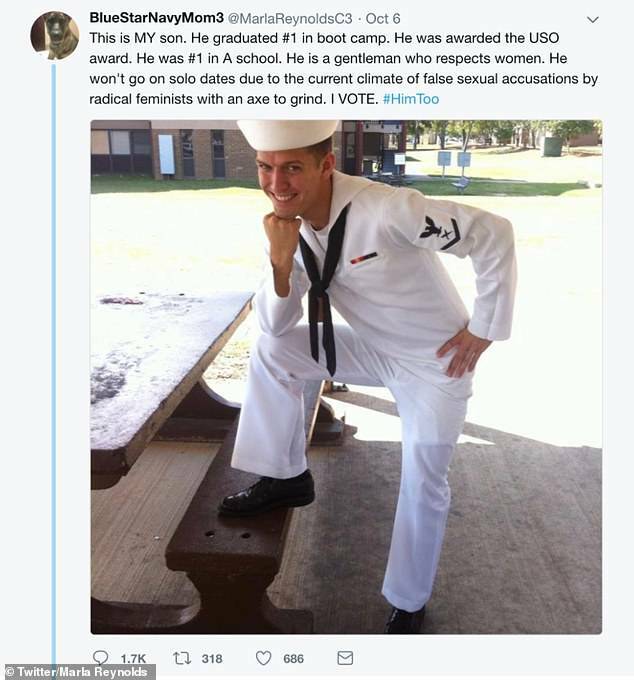 An overenthusiastic mother has prompted a viral storm after a tweeting a snap of her son, claiming he's too scared of going on dates for fear of being accused of sexual assault. 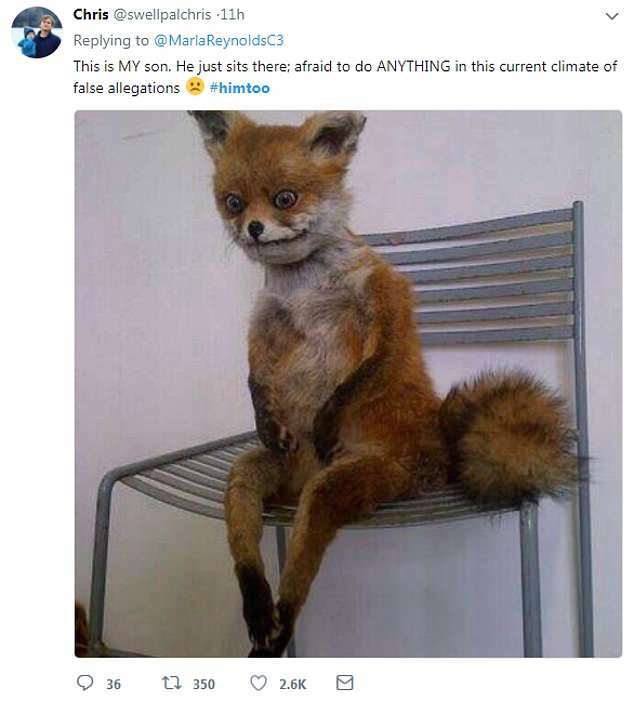 Marla Reynolds from Oklahoma shared an image of her son Pieter Hanson on Twitter on the back of Brett Kavanaugh's battle to become the next Supreme Court justice, which prompted claims from Republicans that men are afraid of being falsely accused of sexual assault. 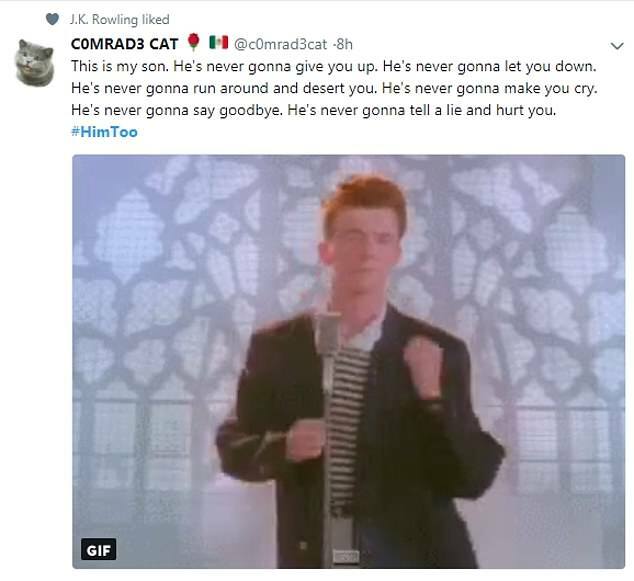 Her post quickly got #HimToo trending on Twitter, although perhaps not in the way she'd hoped as commenters mocked the post with their own versions featuring Norman Bates, their pet cats and Rick Astley. 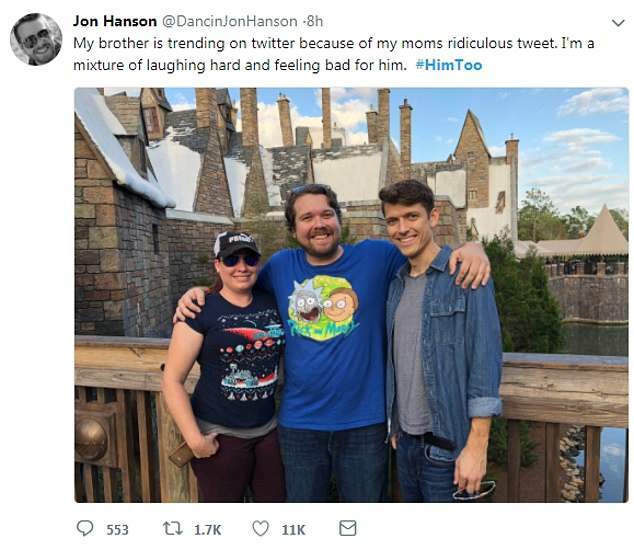 However, Pieter saw the funny side of his unexpected Twitter fame and shared a photo of himself in the same pose explaining that his mother had been misguided. The #HimToo hashtag emerged on Twitter as Kavanaugh battled to secure his Supreme Court position while denying allegations of sexual misconduct by three women. 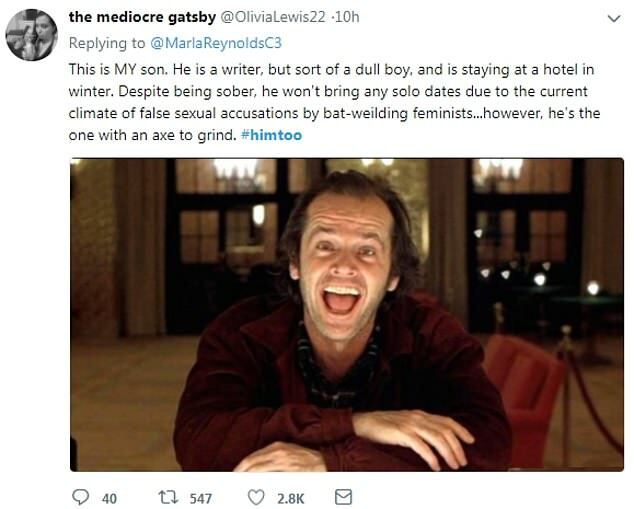 Proponents claimed that mothers of sons should be worried about women making false allegations against men that can't be proven, leaving their lives ruined. 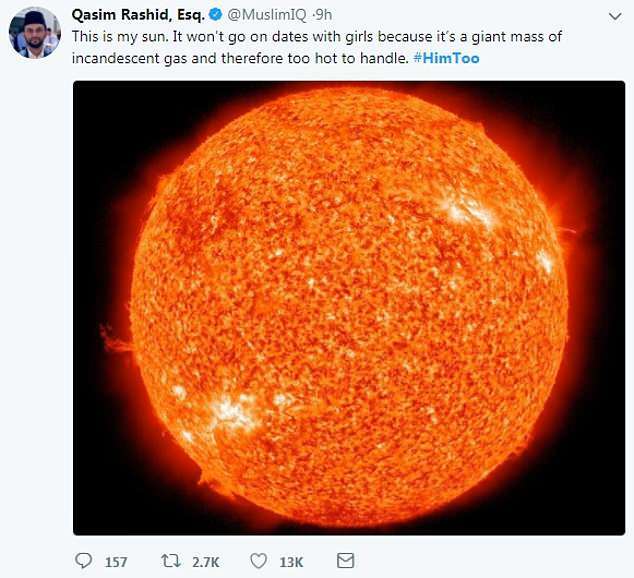 However, she didn't quite get the response she was expecting to the now deleted tweet as commenters shared a raft of hilarious memes mocking the post. 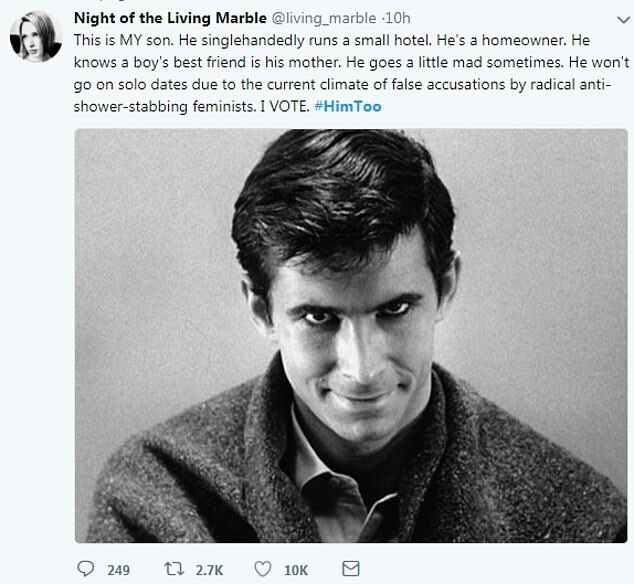 One user shared an image of Norman Bates who famously kept his dead mother's skeleton at the family motel in Hitchcock's Psycho. 'This is MY son. He knows a boy's best friend is his mother,' she said. 'He knows a boy's best friend is his mother. 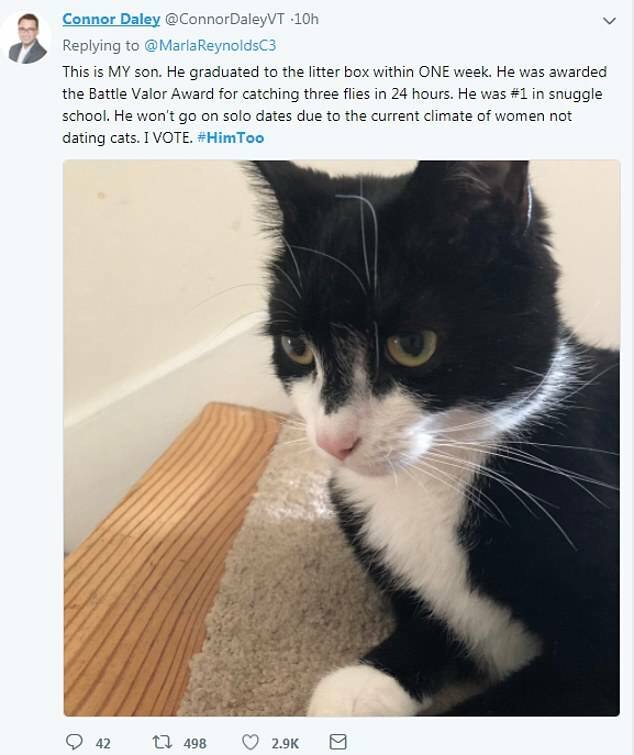 Another shared a snap of their pet saying he 'won't go on solo dates due to the current climate of women not dating cats'. 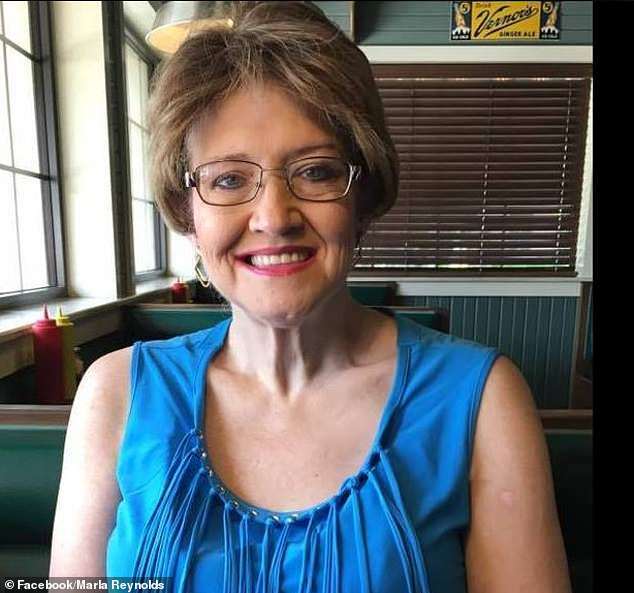 Pieter's brother has since told the Huffington Post that their mother had 'good intentions', but that he didn't ever tell her that he's scared to date. 'He’s actually a big supporter of women’s rights among other things. An upstanding guy in the community, and everyone that knows him loves him,' he said. maybe take a break there meany. 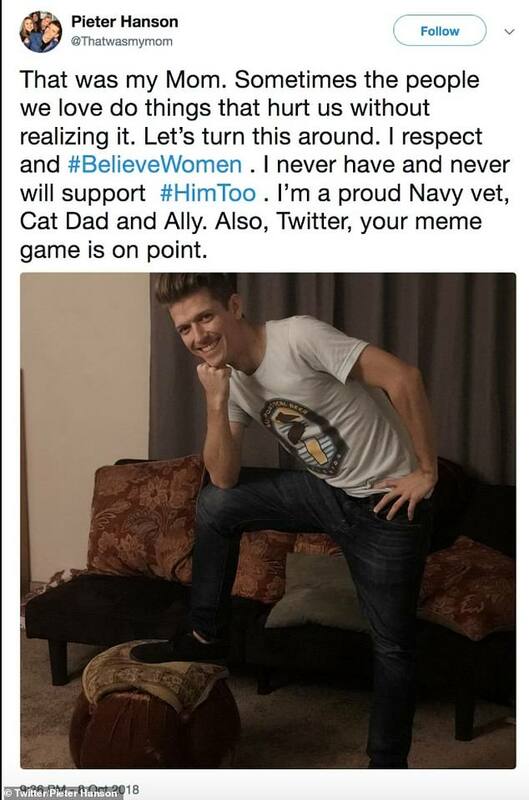 my wife says he does not look ultra gay. This articles that whatreallyhappened.com puts up from europe are trash. aka eurotrash.